Happy Easter from Tti! Here is how we celebrate Easter here at Tti and in the UK! We all had a fantastic Easter holiday! 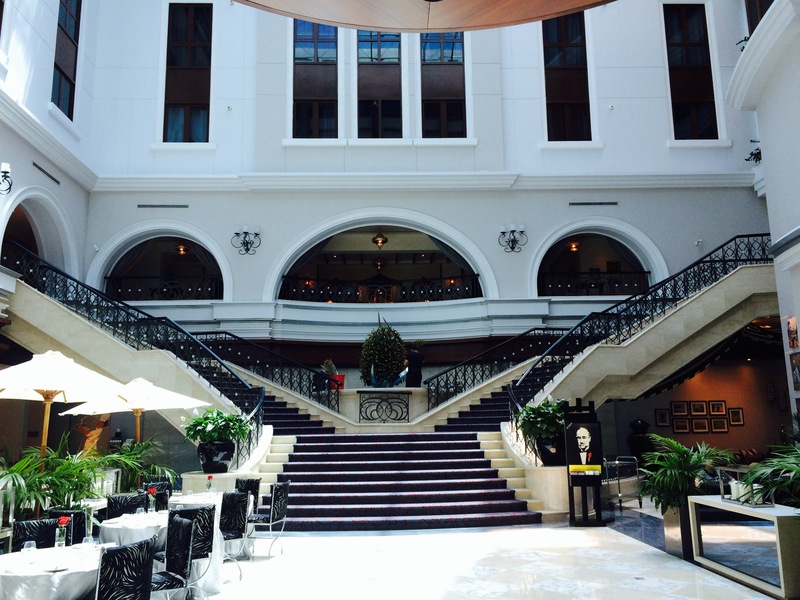 We thought we’d share some photos from the weekend!! 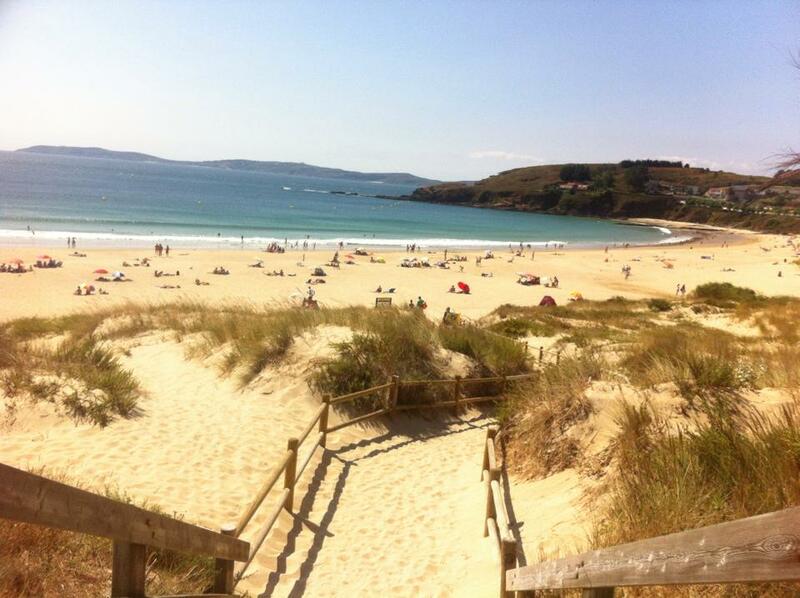 Check out where Sonia , our Registrar , went to in Galicia! Not bad! 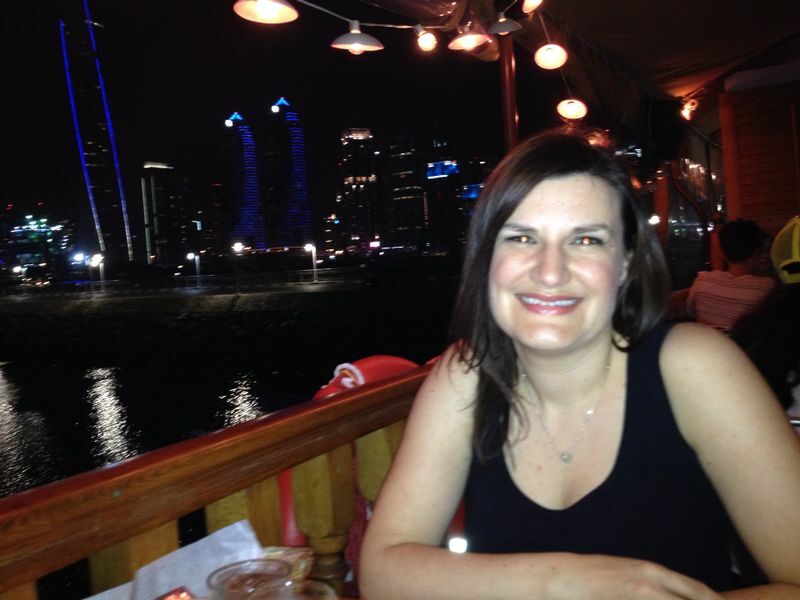 Here’s our Principal, Gemma, at Aprons and Hammers restaurant in the Dubai Marina! Mel had a House of Cardathon at home! Our original Easter post can be found below scroll down to read some interesting facts on Easter traditions in England!.. Easter is in the air here at Tti. 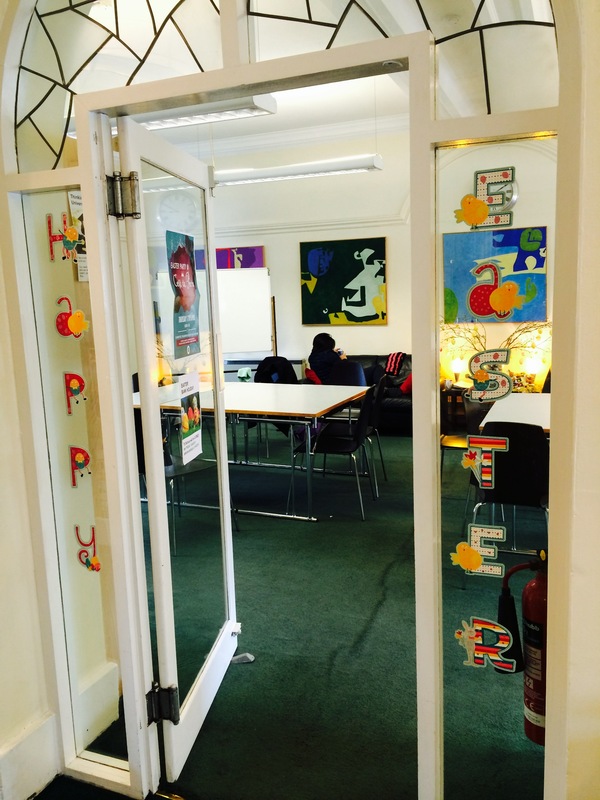 We’ve got Easter eggs and pastel decorations dotting every corner of the school! 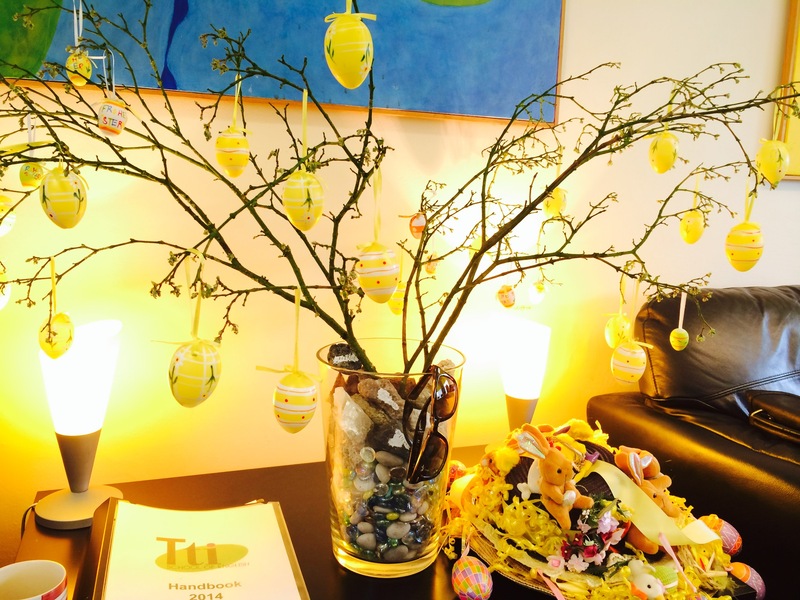 Our Tti Easter Egg tree! 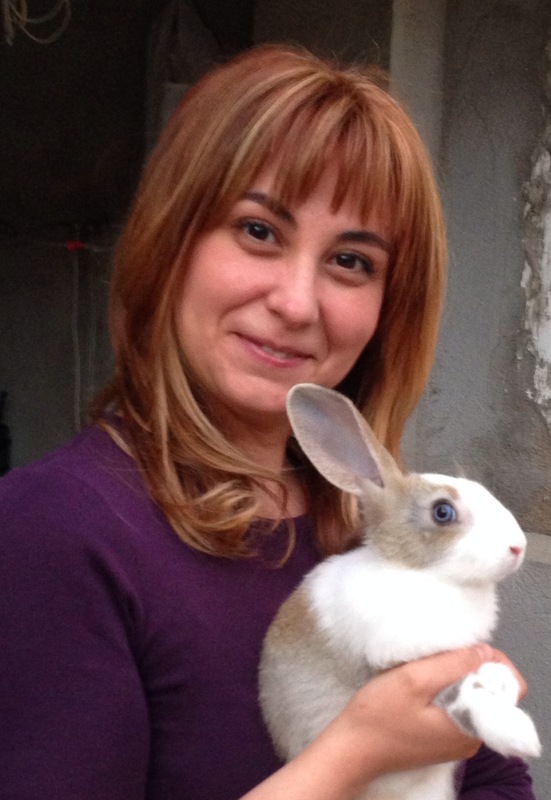 Camilla, the Director of Studies, has taken a week holiday to go to Portugal with her family. 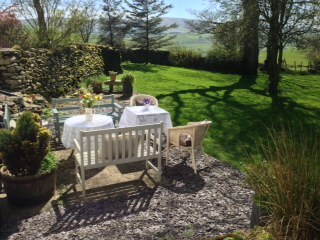 Sian, our Senior Registrar, is travelling this evening to Wales to stay with her parents for the long weekend. Her siblings are also joining them. 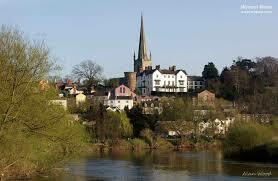 Bridie, one of the Director’s of the school, is travelling in her camper van for a camping holiday in Ross-on-Wye. Where will you be? What are you doing this break? Did you know that Britons love chocolate? In world league tables of per capita consumption the UK comes 3rd. Why is the egg the symbol of Easter ? Well, it is a religious holiday, but some of its customs, such as Easter eggs, are likely linked to pagan traditions. The egg, an ancient symbol of new life, has been associated with pagan festivals celebrating spring. From a Christian perspective, Easter eggs are said to represent Jesus’ emergence from the tomb and resurrection. Decorating eggs for Easter is a tradition that dates back to at least the 13th century, according to some sources. Cadbury Eggs – The most famous egg of all? In 1971, the first Cadbury egg went on sale 1971The Bourneville factory can make 1.5 million Creme Eggs every day, 200 million are sold in the UK every year. Briton like getting a head-start on their Easter chocolate! – Easter eggs for 2014 were on sale in Waitrose, Marks and Spencer and Asda on 30thDecember 2013. What are your Easter traditions ? What kind of food is traditionally served at Easter time in your country? Leave us a message in our comments! 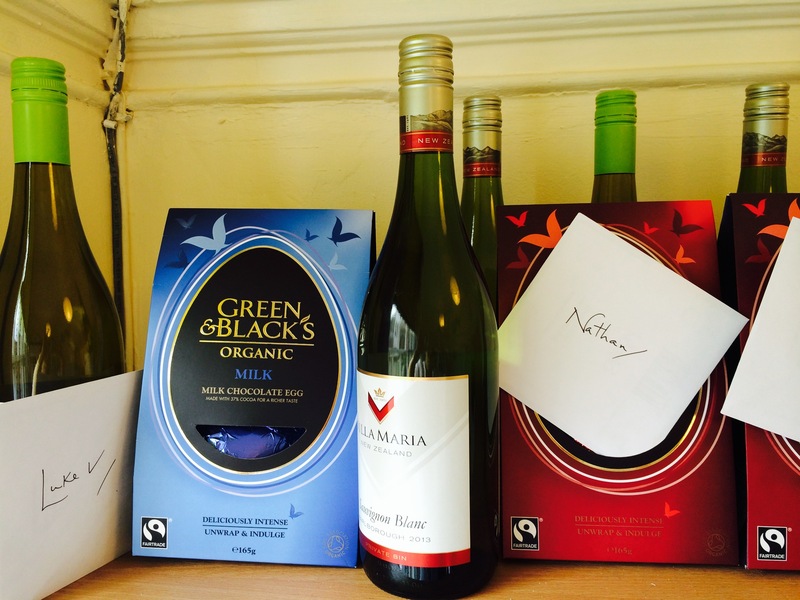 Easter presents for the Staff from our Directors! Wishing you all a wonderful long weekend! See you next Tuesday!